The most crucial part of an anonymous whistleblowing program is ensuring it's "anonymous". It’s proven that whistleblowers identify misconduct better than internal audits or external reviews. But how do you convince employees it's truly anonymous? You can easily say your whistleblower program is anonymous, but many employees need to see and hear more to believe this. Depending on where you are, your government might mandate that your whistleblower program is anonymous. Organisations that don't take anonymity seriously or inadvertently identify whistleblowers can receive heavy fines. In this article, we will provide you with steps to help make your whistleblower program truly anonymous. When you introduce your whistleblower program, how will you communicate that it's anonymous? Many organisations roll out their whistleblower program and say "it's anonymous”, but don’t define how they've made it anonymous. The result is employees have a high bar for you to get over before they believe you. Instead of mentioning "it's anonymous”, provide a list of what you have done to protect a whistleblower’s identity. Show them each step you've taken, from the technology you use to processes in place, as well as how you manage reports. Illustrate how you protect their identity throughout the entire process. It's also a great opportunity for senior management to get involved and encourage "courageous conversations". Hearing the message from the top instils greater confidence in the anonymity of your program. Confidence leads to more reports, and more reports help identify the blind spots in your organisation. Will employees making a report be confident they will remain an anonymous whistleblower? Rolling out your whistleblower program to all employees is the first layer of communication. Once an employee wants to make an anonymous report, you need to think about how your existing communication impacts this employee. You want them to feel safe to speak up, know you will protect them, and their identity will be anonymous. This is the second layer of communication, which is what a whistleblower reads as they go through their journey making a report. Each step of the way, reinforce that you will protect their identity. You can do this on your whistleblower policy page and where employees submit a report. Case managers can also communicate this as they start engaging with the whistleblower. 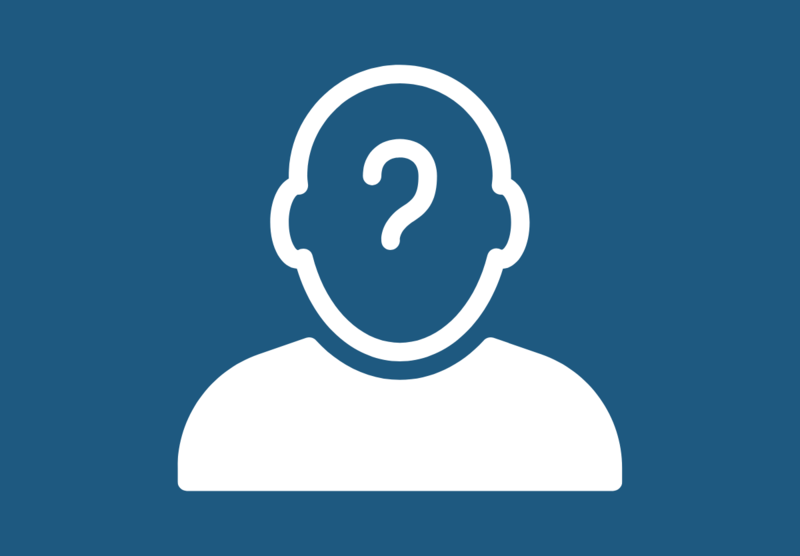 Will you use a whistleblower platform that helps protect the whistleblower’s identity? Whistleblowing has moved online. You need to ask yourself if you will use the right technology to help your whistleblower program be completely anonymous. Using an email address or Google forms will not give you the level of anonymity you need. Depending on the countries you operate in, this could open you up to increased risk. Your whistleblowing platform should provide for 2-way anonymous communication. It should not provide details like location, IP address, or employment information. Additionally, it should not ask an employee for their corporate username and password to submit a report. Employees, especially Gen Y and Gen Z, often feel more anonymous submitting via their mobile phones. Having a whistleblowing platform with an app or mobile responsive site will help increase reporting as it is easier to do this outside the workplace. Your platform should also help reinforce your existing communication about protecting a whistleblower's anonymity. As a 3rd party, it should outline what steps it takes to aid in 2-way anonymous communication and protect the whistleblower's identity. Will you ask questions that a whistleblower will actually answer? Many organisations want to ask anonymous informants lots of specific questions. Typically, they want to get as much information up front as possible. Yet, it's critical to look at these questions from the whistleblower's viewpoint. In their mind, they are thinking “will answering these questions help my company identify me?”. Location is a great example. Asking what country an employee is in is okay if that country has hundreds of staff. It’s different if that country only has 10-20 people. As you put together questionnaires for your whistleblower program, think about the impact of each question. What might seem like a simple question to you could bring about fear of identification by an employee. A great best practice is to treat the initial whistleblower report as “the start of the conversation”. In the initial questionnaire, ask the questions you need to understand the situation. Then use 2-way, anonymously communication to establish trust and ask more questions. And always view the questionnaire from the eyes of the whistleblower and ask yourself "if I was a whistleblower, would I answer these questions?". Will you reinforce the anonymity of your whistleblower program by your engagement with whistleblowers? Once you start engaging with a whistleblower, ensure you communicate that you are protecting their identity. If they are anonymous, don’t try to identify them. Focus instead on investigating the issues they have flagged up. If they do reveal their identity, protect it and only provide it on a need-to-know basis. Your whistleblowing program is built on trust. Whistleblowers believe they will be anonymous and any breach can spell doom for your whistleblower program. If employees feel you won’t protect them, then they won't report misconduct. Barclays Bank is a great example of where this can go wrong. As the organisation engaged with a whistleblower, the CEO, Jes Staley, launched an investigation to identify this person. The regulator reprimanded and fined Barclays and Mr Staley, and this incident left a black cloud over their whistleblower program. Trust in your whistleblower program is crucial, and once it’s gone, it’s tough to get back. How will you continuously communicate the anonymity of your whistleblower program? Educating your employees about the anonymity of your whistleblower program is not a one-off exercise. It’s an ongoing process where you need to keep reminding employees about your program, what they should report, and how they can report it. For new employees, make sure you provide content about your program as part of their on-boarding. Many organisations make the mistake of doing a big roll-out to existing employees, yet they never educate their new employees. Their whistleblower program starts with a bang, but then quickly becomes buried by other initiatives. By having every new employee learn about your whistleblower program, you are telling them that from the start you want them to speak up. With existing employees, reinforce your program through consistent communication. Remind them time to time about the program and ask managers to mention it as well. Keep the message simple and consistent; why we have the program, what misconduct to report, and how to report it. When an employee sees misconduct, you want them to know exactly where to go and what to do. In order for your whistleblower program to be successful, you need to build trust. For whistleblowers, this trust comes from believing you will protect their identity. To establish trust, you need to communicate how you will let them be anonymous and ensure they know this. When organisations do this well, they see increased reporting. And increased reporting helps them identify risk and take action quickly.